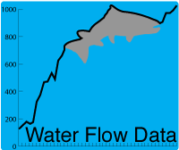 The past 30-day plot of historic water management data for Morrow Point Reservoir. Data provided by the U.S. Bureau of Reclamation. The past 30-day plot of historic water management data for Blue Mesa Reservoir. Data provided by the U.S. Bureau of Reclamation. 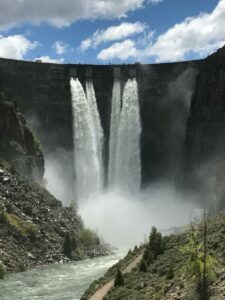 Aspinall Unit Reservoirs – As of March 10, 2019 releases from Crystal Dam are approximately 485 cfs. 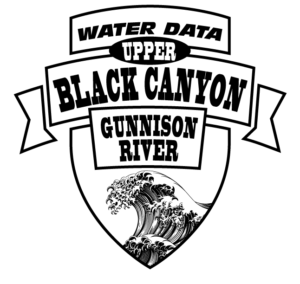 Uncompahgre Valley Water Users Association has stopped diversions through the Gunnison Tunnel except for periodic diversions to fill Fairview Reservoir. 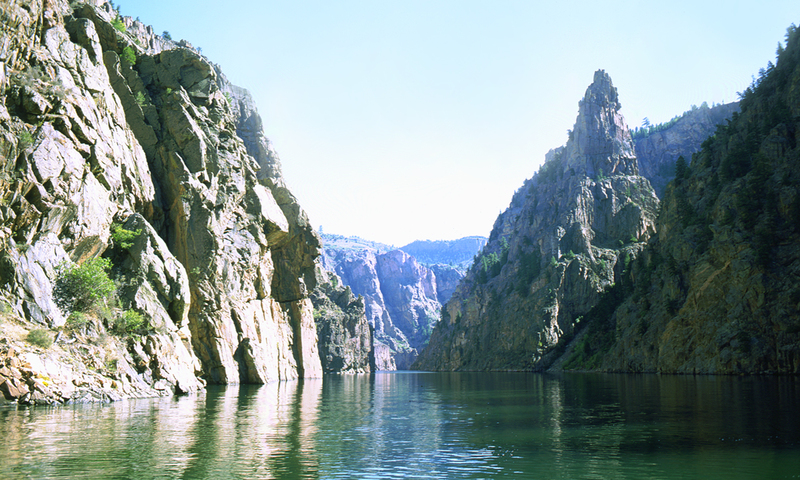 Flows through the Black Canyon are approximately 475 cfs. 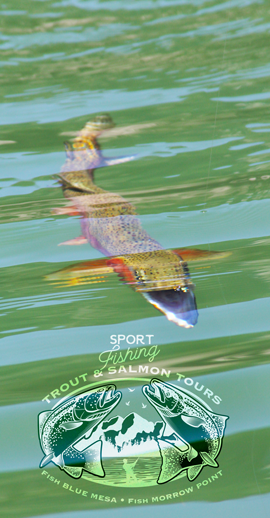 There is currently about a 10 cfs loss to the Gunnison River between Crystal Dam and the Gunnison Tunnel Diversion. 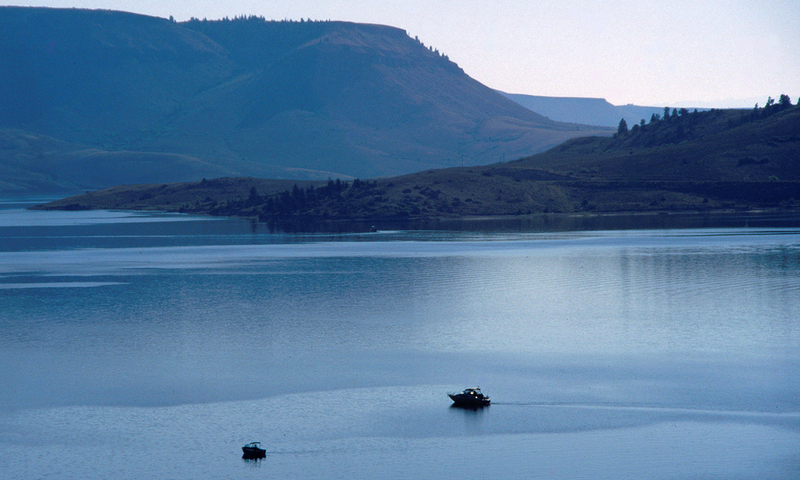 As of March 10, 2019, Blue Mesa Reservoir elevation is 7437.18 feet which corresponds to storage content of 245,690 af (30 percent of capacity).The February unregulated inflow to Blue Mesa Reservoir was 19,900 af (89 percent of average). Unregulated Inflows to Blue Mesa for the next three months (March, April and May) are projected to be: 26,000 af (72 percent of average), 72,000 af (94 percent of average) and 220,000 af (100 percent of average), respectively. For water year 2019, the unregulated inflow volume is forecasted to be 928,800 af (98 percent of average) with 740,000 af (109 percent of average) of unregulated inflow occurring during the April through July period. The March 24-Month Study is reflective of this new forecast.Conditions are clearly very dry. 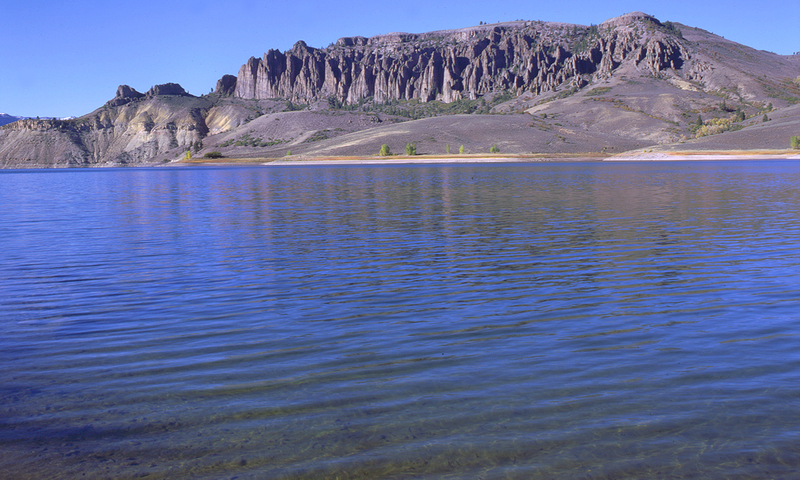 Blue Mesa Reservoir did not fill in water year 2018 and will most likely not fill in water year 2019 either. 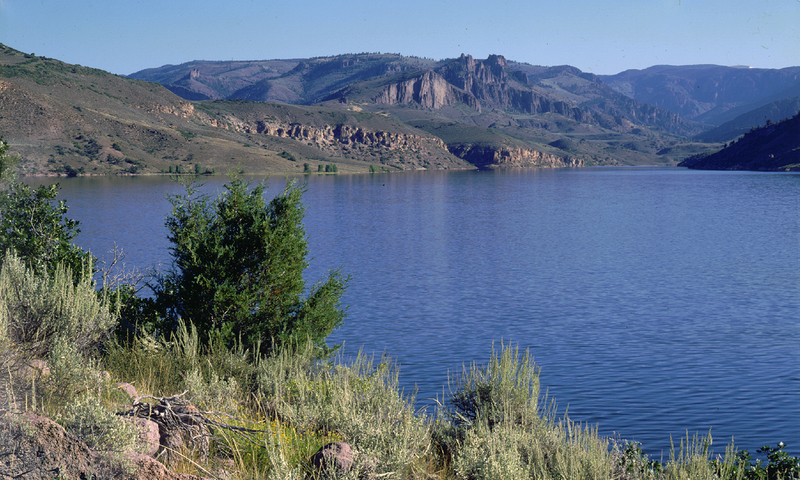 Current projections indicate Blue Mesa storage will remain near the current level till March of 2019 before rebounding during the spring runoff. Current projections indicate Blue Mesa is at or near its low elevation for this year. The peak elevation for this water year will occur in or around late July when the elevation is projected to be 7494 feet. The projected end of water year 2019 elevation of Blue Mesa is 7487.5 feet which corresponds to a live storage content of 462,000 acre-feet (68 percent of full capacity).